This is a different world we live in! Unless you live in a cave, I think you will agree with that statement. If you question this just look at our President as an example. Donald Trump broke every rule in the book and got elected. 10, 20, 30 years ago, no way that happens. How about Uber and Lyft? These companies have destroyed the Taxi business, or at least it has changed things up a bit. How about VRBO and AIRBNB? I mean these companies have opened up whole new businesses. The same old big box hotels are there but it has put a dent in their business. The Big Box Stores are thinking now! You better believe big stores like Macy's, Target and Walmart to name a few, are looking at their numbers like never before. A little company by the name of Amazon is changing things fast! It's hard to believe but people actually like to sit in their pajamas at home and order whatever they want----on line. Did you know that in 1982 there were 4.7 Billion people in the world and not a single cell phone was registered to anyone! 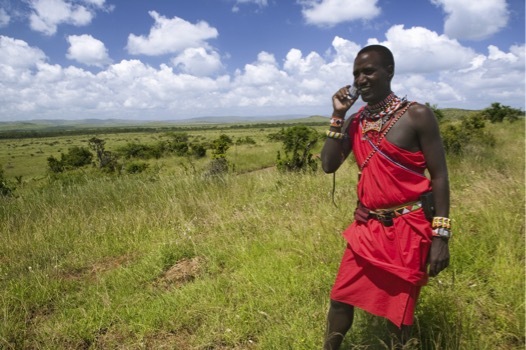 Today there are about 7 Billion people in the world and approximately 6.5 Billon people have access to mobile phones. Mobile devices are now driving 56% of traffic to the top sites. Actually just sit back and think about that! If you are in sales, what has changed in your world? A very big part of sales in the old days was control. You had to have control over your prospects. We used to sit down with our clients at a table and then within 5 minutes we would get up and rearrange their chairs so they could better hear us. All we were really doing was getting control of the situation in a subtle way. Remember the movie Glengarry Glen Ross in 1992? Remember "coffee is for closers"? I had a boss just like Alec Baldwin. No kidding, he would come in from another office and just tee off on us, just like the movie! We were even told you had to make a sale to keep your job! Brutal! So, there you sit as a sales rep doing the same thing you have always done with your customers. Many times you are ignoring what is actually happening in the world today. In my business (real estate) prospects are walking into sales offices with a list of homes that they found online in addition to a list of homes they have found on Zillow. As the sales agent drives the property the customer actually has his phone out and is directing the way he wants to go. If you are selling cars, wow! Customers are walking in with pricing, recent cars sold, specs, where they can get the car cheaper, etc. The effectiveness in sales where the sales rep held all the cards has shifted. Now the customer has the cards, or at least an equal share of the cards. It is now more important than ever to be on the same wave length with your client. One thing that never changes, you have to get ready for SHOWTIME when dealing with the new breed of buyer! In order to succeed in todays world, you MUST follow the next level in sales rules. It is very important to scale your power and knowledge back a few notches so you match your customer. You have always had the power, but now you are almost equals. Match your customer! In the past, you had more information and thus ruled by authority, no longer! It is important to put your clients perspective situation at the forefront now more than ever. Listening has always been a key-word but now more than ever, you really have to listen! I MEAN REALLY LISTEN! Not go through the motions! Is is extremely important to show empathy with the new breed of buyer. Remember, you no longer have the power you used to! Selling in the 21st century has turned more into a consultive approach to selling. With the changing of today's technology and information landscape it is important to discover the right problem, not just a solution. That's right, you heard me right. For years salespeople are problem solvers and they still are, BUT----with the information age, customer are digging up WAY too much information and getting confused as to what their real problem is. You have to dig deep! Physiology is a huge factor in selling! The Latin root physio- generally means "physical". Customer has never really heard what you say because words are only 7% of communication. Physiology is movement, enthusiasm! We will delve deeper into these areas, but it is important to know that the new breed of buyer has changed and we have to change in order to make the sale! If you like what you are reading please sign up below and we will send you fantastic information and newsletters!